Protecting a car from the elements is a major concern for many car owners. Unfortunately, not everyone is lucky enough to have a garage. Whether you have limited space or limited funds, a carport makes the perfect alternative to building a complex structure like a full size garage. If you have been thinking about investing in a carport the following reasons may persuade you. Carports are relatively cheap to build and are more space-efficient. There are a number of reasons for this, but essentially it is because carports don’t need flooring and you can choose from different materials to keep costs down. For example, you can choose between steel and wood for the frame. Roofing could be sheeting, tiles or Colorbond and there are flat roofs, gabled roofs, as well as pitched roofs depending on your budget. Understandably, many of our Canberra homeowners want their carport to match their existing home. The team at Upright Building Services has many years of experience ensuring tiles or Colorbond sheeting match perfectly so you can enjoy that much sought after streamlined effect. Some of our clients will also paint the frame of their new carport to match the colour scheme of the house. Carports can be freestanding or attached to your house. The weather in Canberra can be unpredictable and there’s nothing more annoying than having your celebration moved indoors because of rain. Worry not because a carport can double as an entertaining area, providing the perfect cover for your BBQ and your guests! If your carport is attached to hour house or close by you will have added protection from the wind and rain. As an added bonus, lockable roller door and walls can be added to your carport in the future to create a secure space. 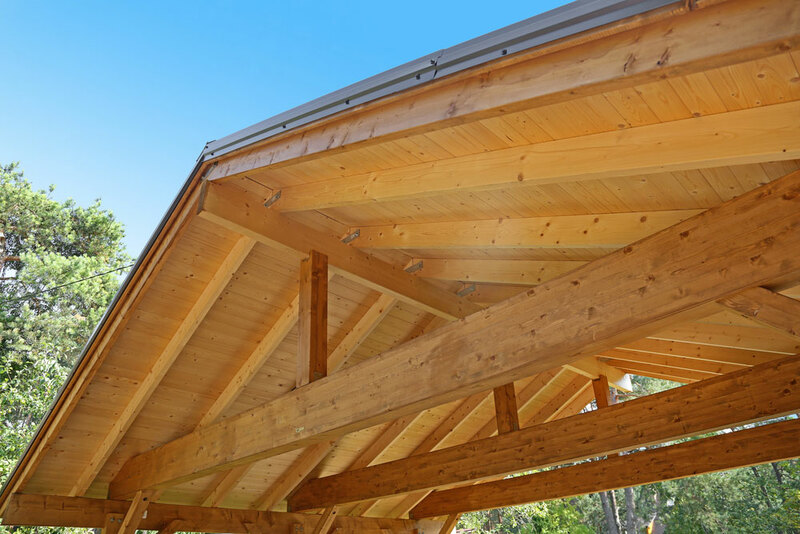 Thinking about adding a carport to your home?